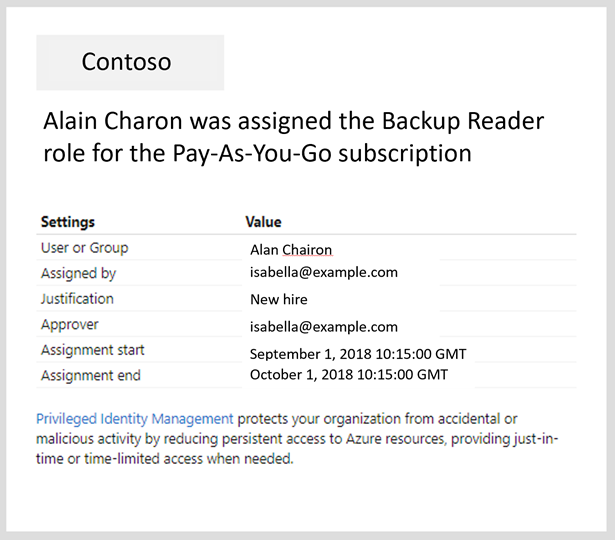 Azure Active Directory (Azure AD) Privileged Identity Management (PIM) lets you know when important events occur, such as when a role is assigned or activated. PIM keeps you informed by sending you and other participants email notifications. These emails might also include links to relevant tasks, such activating or renewing a role. This article describes what these emails look like, when they are sent, and who receives them. * If the Notifications setting is set to Enable. 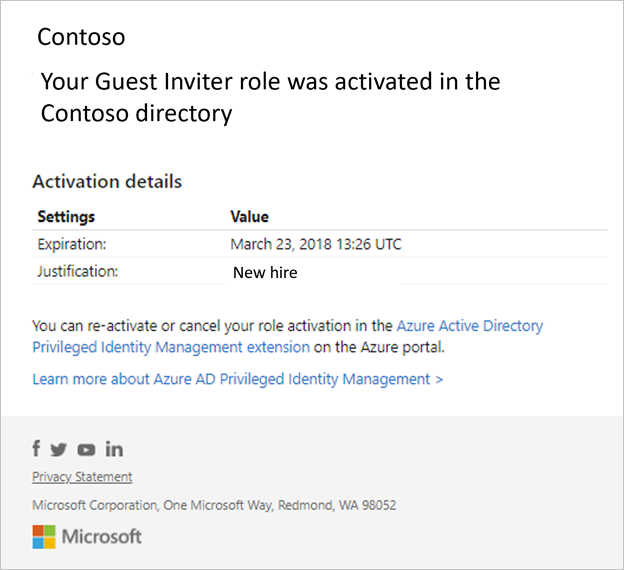 The following shows an example email that is sent when a user activates an Azure AD role for the fictional Contoso organization. Users activated Number of times users activated their eligible role inside the tenant. Users made permanent Number of times users with an eligible assignment is made permanent. Role assignments in PIM Number of times users are assigned an eligible role inside PIM. 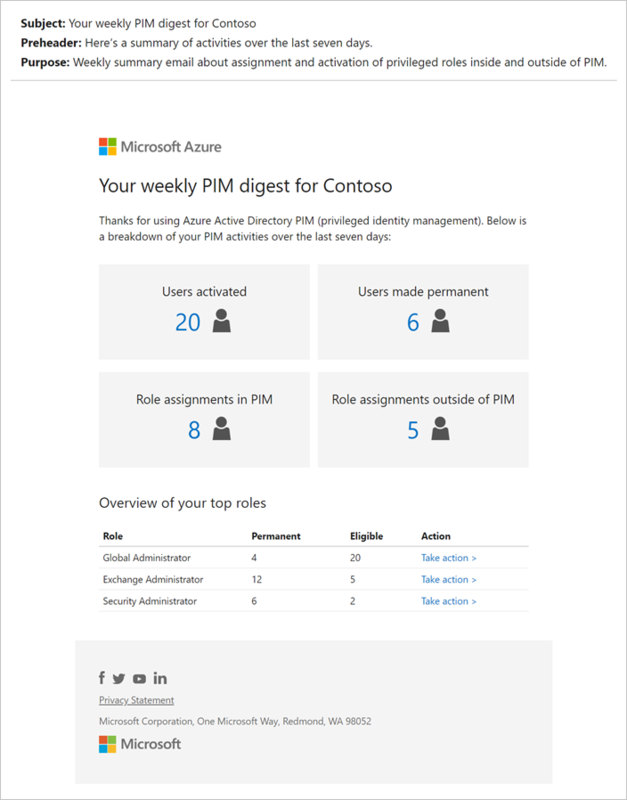 Role assignments outside of PIM Number of times users are assigned a permanent role outside of PIM (inside Azure AD). The Overview of your top roles section lists the top five roles in your tenant based on total number of permanent and eligible administrators for each role. The Take action link opens the PIM wizard where you can convert permanent administrators to eligible administrators in batches. The following shows an example email that is sent when a user is assigned an Azure resource role for the fictional Contoso organization.